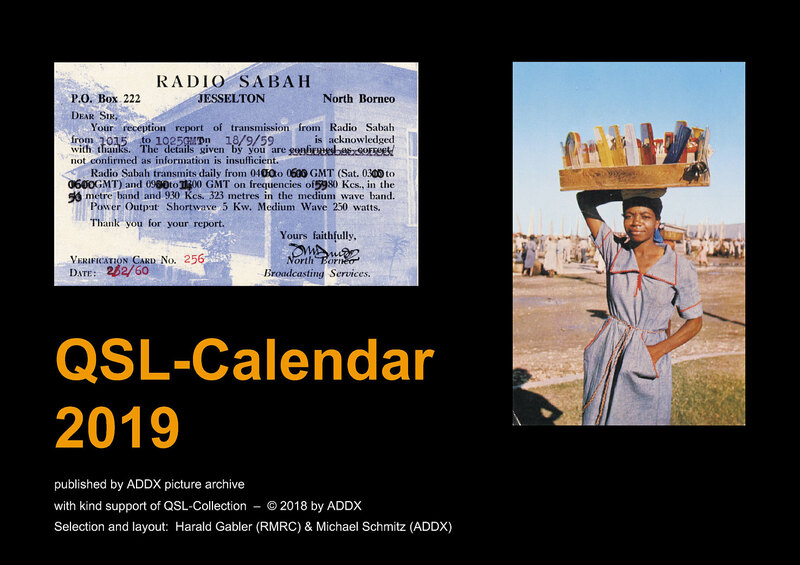 This is the new QSL-Calendar 2019.
with rare and decorative qsl-cards from radio stations all over the world. If you want to get some of this fine art qsl-calendar 2019 order now. Price the same like last year. Paypal: DrGabler(at)t-online.de. der neue QSL-Kalender 2019 ist fertig.